The word is out. 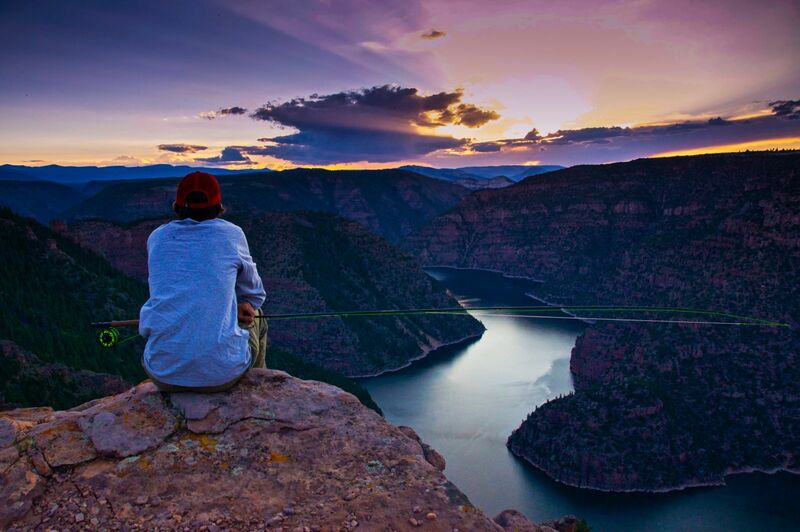 People come to Flaming Gorge National Recreation Area from around the globe to fish for record-breaking trout and kokanee salmon. When they arrive, they are greeted by a diverse landscape that runs the entirety of the Flaming Gorge Reservoir’s 91-mile length. This unique ecologic and geologic environment climbs steadily from the charming high desert of southwestern Wyoming to the attractive subalpine terrain of northeastern Utah making Flaming Gorge unlike any other fishery in the United States. Every angler who visits is simultaneously rewarded with a bountiful catch and some of the most breathtaking scenery in the west. Flaming Gorge’s name was actually inspired by John Wesley Powell’s Green River expedition of 1869. As his crew drifted into the north slope of the Uinta Mountains, rays of sunlight reflected radiantly off the red and orange hues layered within the canyon walls making them look like they were on fire. Today you can witness the same shale buttes, sandstone cliffs, and quartzite canyons that tower above the reservoir’s cobalt waters and that gave the area its name. While it’s true there are plenty of trophy lake trout and kokanee salmon to be caught, Flaming Gorge and the surrounding waters also offer a variety and abundance of other fish that are accessible to folks of any skill and age. Smallmouth bass, rainbow trout, brown trout and even burbot are also plentiful and are a riot to catch. From first-timers to seasoned anglers, regardless of the catch you’re after, everyone who visits the region can find the perfect amount of action. If you’re new to fishing, all you’ll need to get started is a basic set-up of a spinning rod with line, tackle, and bait and/or lures. There are many easily-accessible fishing spots in the area that are perfect for children and first timers alike. Adjacent to the 500-foot-tall Flaming Gorge Dam sits an ADA-accessible fishing pier. You can take in the views from atop the dam, then drop a line from the pier. Moose Pond is a small reservoir found along the National Scenic Byway that is annually stocked with rainbow trout. Surrounded by mature lodgepole pines, the Moose Pond is easily accessed and if visited near sunset affords ample opportunity to view deer and moose foraging near its shores. Hanging above the Gorge, the Greens Lakes at Red Canyon Lodge offer great catch-and-release fishing for rainbow, brook and tiger trout. Little Hole on the Green River is also a must visit. Located in the steep and scenic canyon below the Flaming Gorge Dam, there is easy access to miles of trout-filled water where the average fish caught is over 15 inches. Buckboard, Lucerne, and Cedar Springs Marinas all offer great shore-side fishing as well. From house boats, speedboats, pontoons, fishing boats, canoes, kayaks, and even stand-up paddleboards, angling on the lake is by far the most productive way to fish Flaming Gorge. And what better way to immerse yourself within the beauty of the country then by leaving the shore behind to explore the open water, narrow canyons and remote islands? Trolling and jigging from a boat are the most prolific forms of fishing on the lake. Long lining with lead, steel, or monofilament using divers or downriggers as well as vertical jigging will help hook fish at depth. Bait fishing with nightcrawlers or powerbait can also be productive. And, yes, the basic cast and retrieve method with lures works well too. 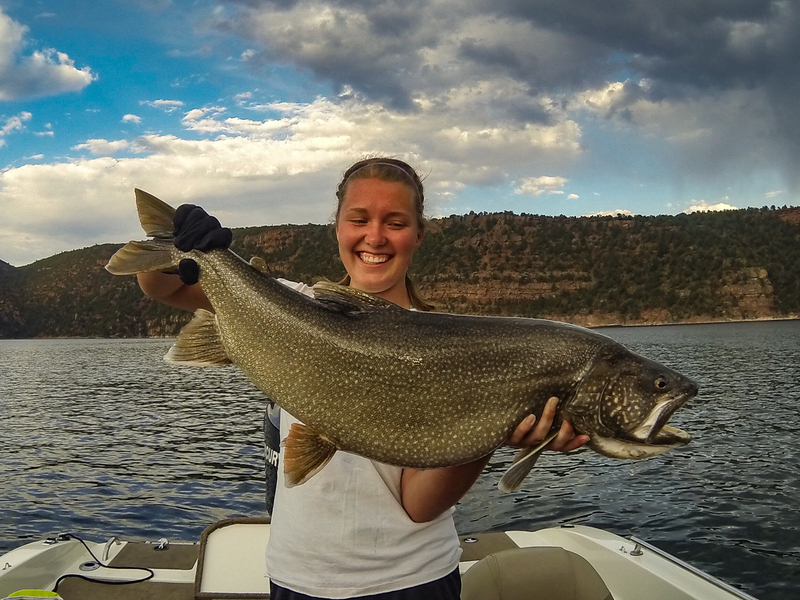 The trophy lake trout or Mackinaw are the most sought after prize at Flaming Gorge Reservoir. Anglers report that lunkers over 30 pounds are still regularly caught. During the spring and late fall, lake trout tend to move throughout the water column. During the summer months they will go to depths 100 feet or greater. Mustang Ridge, Jarvies Canyon, Hideout, Linwood Bay, Antelope Flats, Stateline, Anvil Draw and Big Bend are all great places to try your chances for a trophy lake trout of a lifetime. The Kokanee (sockeye) salmon become active in June and are found regularly at the 30-50-foot depth. By the end of summer they make their way to depths of 70 feet or more. Trolling using down riggers is your best bet. As the fall spawning season approaches their silver bodies become as bright orange and red as the surrounding landscape. They are frequently found near Sheep Creek, Wildhorse, Squaw Hollow, Lowe Canyon, Cedar Springs, Jarvies Canyon, Hideout, Red Cliffs, Horseshoe Canyon, Pipeline and Big Bend. Rainbow and brown trout are found throughout the reservoir and become active in the spring and again in the fall. They may be fished successfully from both shore and boat. Try Flaming Gorge Visitor Center, Mustang Ridge, Sheep Creek, Linwood Bay, Antelope Flats, Anvil Draw, South Buckboard, Breeze Hill, Sage Creek and the Confluence for your best chances. Aching to cast that flyrod? Then head to the legendary waters of the Green River below Flaming Gorge Dam. 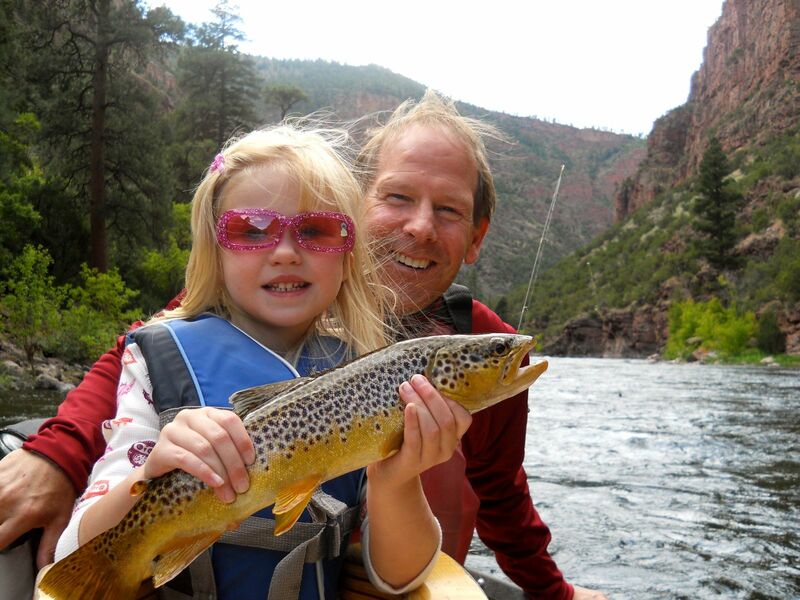 This tailwater is renowned as one of the finest fly fishing destinations in the country. Rainbow and Brown trout abound in this highly scenic canyon float. To get the most out of your day, try one of the fun-loving expert fishing guides from a variety of local outfitters. If you are ready to fish on your own, the first seven miles of the River are easily accessed from the Little Hole National Scenic Trail for some spectacular wade fishing. Whether you are an expert or just getting started, you’ll want to check out the excellent Flaming Gorge Angler’s Guide at flaminggorgecountry.com. Yes, some folks come for the trophy trout, others for the variety of other fish, but undoubtedly everyone who visits this distinct area of the west, a place filled with beauty unmatched by any other place in the world, experiences the same "brilliant, flaming red of its rocks," that John Wesley Powell did way back in 1869. Originally written by RootsRated for Utah Office of Tourism. Thank you for visiting http://www.flaminggorgecountry.com/America's-most-scenic! Be sure and revisit flaminggorgecountry.com frequently for content updates and more.